The existing house is situated in a cul-de-sac consisting of a very wide range of styles. The house is a mid 20th century brick and render with mock tudor boarding and windows to the front in a mock Georgian style. 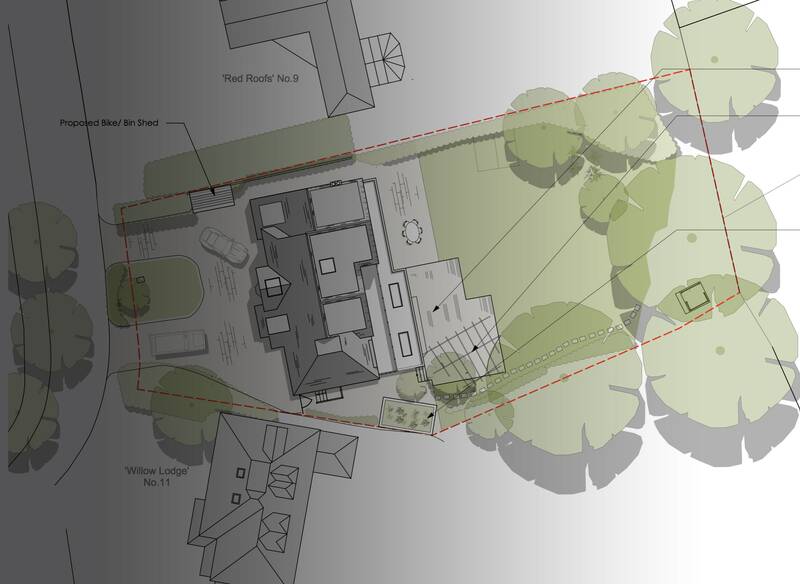 Alterations, both internally and externally have been proposed by Hoban Design to create a dream family home. 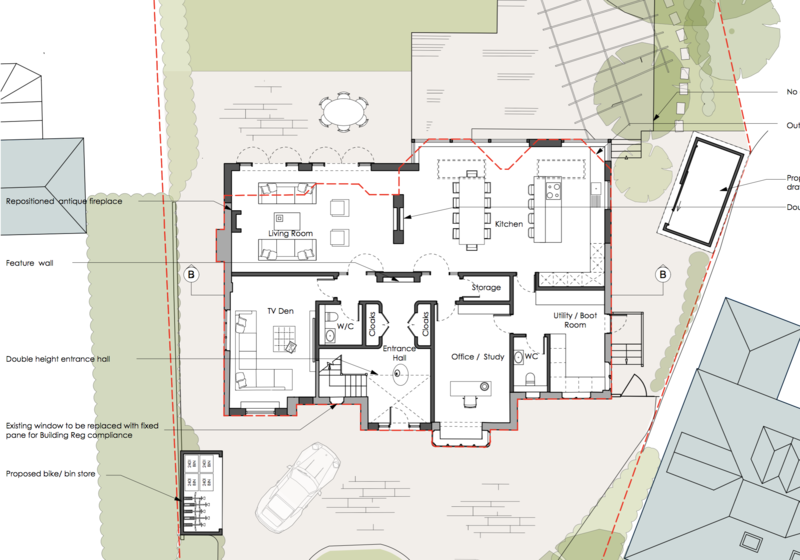 Suggested renovations of the interior layout and of the exterior of the home are shown in the plans below. 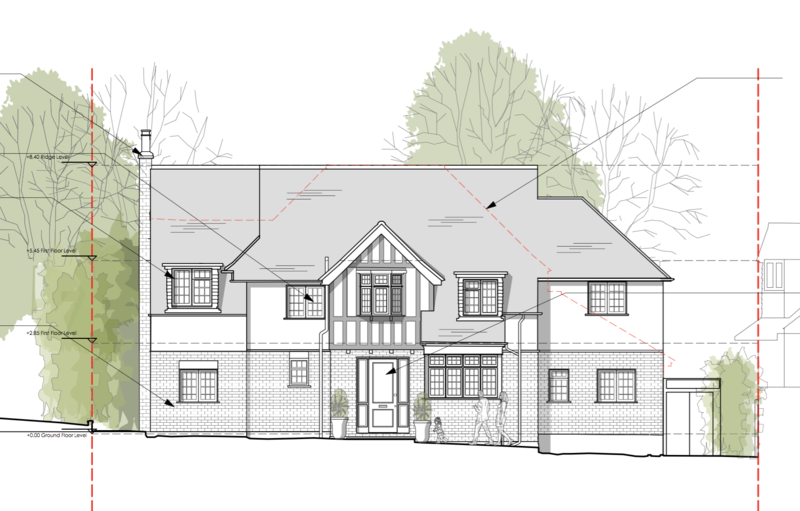 Proposed alterations include a new single storey extension to the full width of the rear of the property, first floor extension over existing single storey side wing and raising of the ridge height to allow for rear dormer extension.